The safest and most effective way to clean your jewelry is to have your pieces professionally cleaned by us free of charge, but we know that you may not always be able to stop into our stores to do so. Check out this post for safe DIY jewelry cleaning tips! 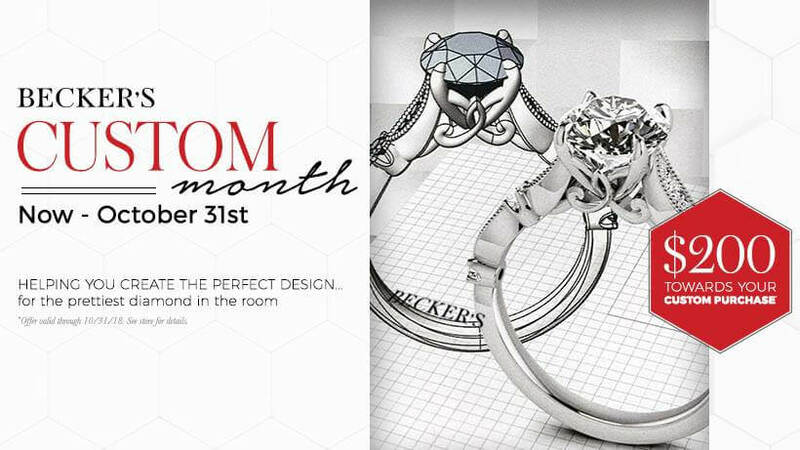 Please join us May 5th & 6th at our Restyle Event in West Hartford where you can upgrade your engagement ring, revive an old mounting, or design a brand new piece of jewelry using pieces you already own! This Mother’s Day, treat Mom to a beautiful piece of jewelry from Becker’s. We have an amazing selection of gifts under $500 that will help show her how much you appreciate her on this very special day, and every other day of the year. Find sparkling gifts for Mom under $500! Visit us in West Hartford & Old Saybrook. Click on the image above to read more about this promotion! Throughout this three-day event in West Hartford, our extensive Swiss watch collection will feature luxury watch brands such as Rolex, Breitling, Omega, Patek Philippe, Cartier and more. These pre-owned watches are priced well below new and come with a Becker's one year buckle to buckle warranty. Price is usually the #1 factor involved when a customer comes to us looking for an engagement ring. Keep reading to find out how much people are spending lately, and learn some tips to stay within your budget!